If you want to qualify as a Hadoop Architect, then Simplilearn’s ‘Big Data Hadoop Architect Master’s program’ is for you. This best course takes you through various aspects of big data Hadoop. They include real-time data processing using database technologies like NoSQL and Spark. You’ll also master how to utilise big data aspects and technologies like Kafka, Storm and Impala. The course trainer, Ronald Van Loon, is among the three leading and most influential experts in Big Data according to Onalytica. He has also authored a number of leading Data Science and Big Data websites. You’ll master tools and skills like Database Interfaces, Cassandra Architecture, Advanced Architecture, Scala, Spark, RDD, Scalability, Spark Streaming, Hadoop Clusters, and Kafka Architecture, among others. 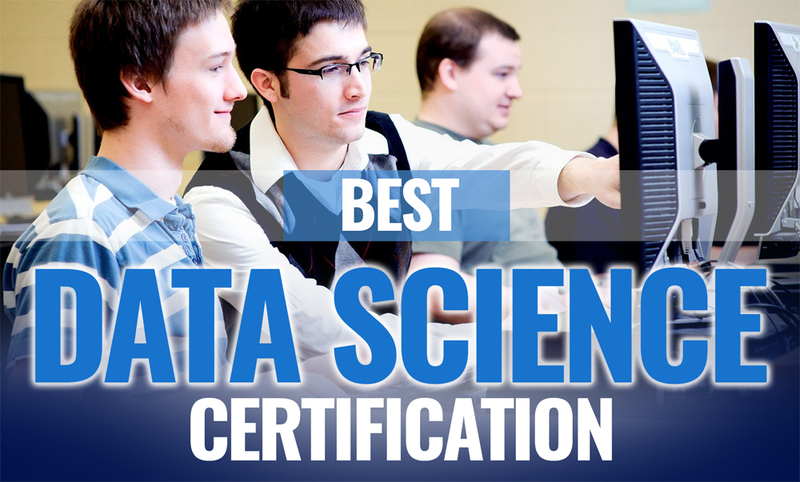 Do you wish to become proficient in Big Data tools and systems? Then the Edureka Big Data Master’s Program has been designed just for you! This course by expert trainers will take you through Hadoop, Spark Stack, Cassandra, as well as the popular messaging system called Apache Kafka. Attaining your Big Data Architect Certification begins with ensuring that you are in for the right course. The Edureka course curriculum has been developed after extensive research based on over 5000 jobs globally. This is one of the reasons why we highly recommend this course for you! There was no way this Coursera Big Data Tools Specialization was going to miss out in our list of the best Big Data Architect Courses. And here’s why: The specialization delves deeper into the latest frameworks used to process and generate large volumes of datasets consisting of both parallel as well as distributed algorithms. The highly qualified course trainer will guide you in mastering the process of designing, deploying and making use of scalable data processing systems. Once you successfully complete your course, you can apply for an online ASU Msc Computer Science degree course. This by far is one of the best Big Data Analytics course. But why are we confident about this course? It’s because Kaplan IT Training is known to have developed and produced relevant IT education related video tutorials for professionals as well as organizations. These tutorials or courses cover latest trends and tools in technology. Kaplan IT eLearning course defines big data as a concept and highlights reasons why organizations should utilise this valuable asset. You’ll also touch on security of big data and reasons why enterprises can make use of big data analytics in discovering and solving any kind of threats. Other areas covered in this course are tools as well as solutions for data analytics, challenges faced by organizations as they deal with big data. The other area highlighted by this course is the future of big data. This Big Data online training course had to make it to our list of best Big Data Architect Courses because of what it has to offer. Having been viewed by over 10,224 people and liked by 552 others, this course has proven to be one of the best so far. It’s delivered by Kumaran Ponnambalam, a data science expert with over 20 years of experience in the field. This Big Data Analytics Leader has built cloud and enterprise applications focused on ingesting data. The goal is to bring useful insights for consumers. The areas that you’ll cover in the course include components of big data apps, strategies for developing big data apps, how to archive audit logs as well as perform customer analytics. Other areas covered are designing solutions and best practices. We couldn’t close our list of Big Data Architect certification courses without bringing you the highlights of this amazing Pluralsight course. So why has it ended up here in our list? It’s because of what it has. By looking at the features and the ratings, you’ll just have to agree with us! The 1 hour, 28 minute-long course has received a 4/5 rating from around 1511 learners. This great course takes you through a broad and thorough understanding of the concept of Big Data. You’ll also take a look at various technologies involved in Big Data. The focus would be mostly on Hadoop, but the instructor will also ensure that you understand MPP (Massively Processing Programming), NewSQL and No SQL databases, and hybrids that bring all these categories together. You’ll also take a look at the vendors that make up the Big Data’s market space, and how to integrate Big Data in BI technologies and conventional databases. The course is delivered by Andrew Brust, a Big Data expert. He happens to be an advisor to New York Technology Council. Course Price: The monthly fee is $29. You can also get 14% off by opting for the $299 annual price. The other packages for this course include the Premium Price billed annually at $499, the annual Professional Price at $579 per user, and the annual Enterprise Price at $779 per user. Why become a Big Data expert? Besides gaining skills, big data architects are known to be among the biggest salary earners in IT. Payscale puts the average annual salary at $145,133. Becoming a Big Data professional takes a process. If your desire is to qualify for job roles like data scientist, machine learning specialist, big data solutions architect, or big data developer, then you have to understand how to get there. Any of these carefully selected Big Data Architect Online Courses will give you all you need to become such an expert. It’s up to you to choose the course that you feel is the right fit for you and your training goals!